An evening of members memories. 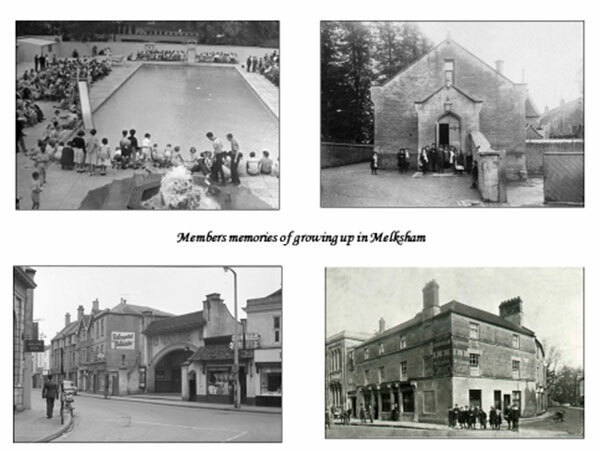 Gill has collected together memories of past times in Melksham from association members with recollections of life and times in Melksham over the years. Gill Butler gave a very interesting presentation of members memories of their early life in and around Melksham, accompanied by a slide presentation. Over 100 members and guests attended. Listening to Gill read out each of the members prepared memories accompanied by photographs of their child hood and various old buildings and shops that have long gone from the town, made everyone realize how the town has changed over the years. The one shop that was mention most was “Wests bakery”, where Mr West made the best lardy cakes in the town, if not in Wiltshire!